Each show or set from Bruce Hornsby is different, and the setlist pages are amongst the most popular on Bruuuce.com. They date back to the late seventies and Bruce’s college days, and you’ve all kept them updated in the decades since. 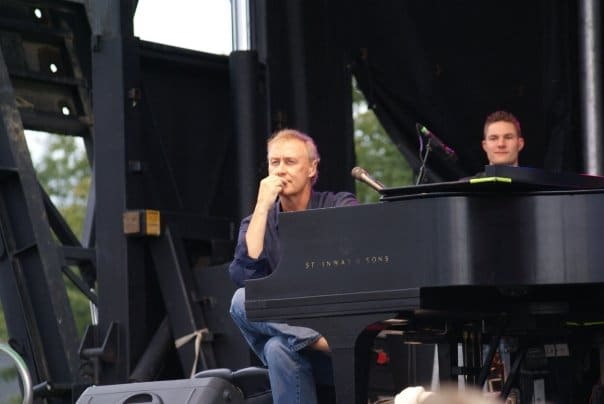 Here are some Bruce Hornsby setlists from the 1970s to the present day. 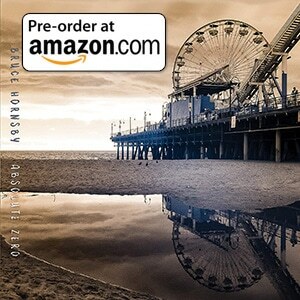 Solo concerts, band shows, special guests, TV appearances and cover songs are all listed here. Bruce has contributed some of these himself, along with tape traders. In addition, all of you in the wonderful Bruuuce.com community have been tremendously helpful. So, if you have any to add to these lists, please contact Si! The majority of this work is credited to Tom Doub. Tom compiled the setlists for years before donating them to Bruuuce.com. You can pick any of them out from the drop-down menu above, or through the links below. Don’t forget our concert archive for your downloads. We also have the popular Bruce Does the Dead page. “”We haven’t played with a setlist for 27 years,” Hornsby says, with a laugh”. “I’ve always thought it’s a strange proposition,” he says. “The way an audience reacts to different music or different stages of my music through the years is different from night to night. If you have a setlist and the crowd has just been dead as they can be and you’ve finally roused them from their stupor, then all of the sudden you see the next song on your pre-made setlist is a dirge-like ballad, you need to move away from that setlist. In the moment is the way to go for me. There’s actually a really good story behind the origin of the no-set-list approach”. “This was back when paper still existed as a medium of communication. So the stage was flooded with requests and we had a great time doing that. So two things happened. We never made a setlist again and we started taking requests from our audience. It’s funny. It’s a sign of how many true devotees are in your audience from night to night. If you walk out and the stage is littered with requests, you know the audience is deeply involved and not just a softcore crowd that knows about five or six songs from 1986-1990 or something. If we walk on stage and there are about three pieces of paper on stage, or none, then we know “This crowd is not really ready to receive what we’re there to give them, which is a very loose, spontaneous, improvisational night where we’re trying to create something in the moment as opposed to the nostalgic night out.